LA REVUE GAUCHE - Left Comment: Whose Family Values? Fine and Saad-Filho' guide to Marx's ideas has been in print, in various forms, since the 1970s. The text I've read is from 2004 and I understand it has been much developed since the early versions. The authors are two leading Marxists and have attempted to condense the key points of Marx's thought into this short book. I suspect it's popularity in no small part lies with its length - many of Marx's works and the guides to them are long, detailed books and this short volume offers an easy start. The authors look at several key aspects of Marx's work - in particular his Method and the origins of his philosophy; the Labour Theory of Value, commodities; the circulation of capital and its accumulation and the role of the falling rate of profit in creating crisis. These are good introductions, and worth reading. Later chapters, particularly those on finance capital and agricultural rent are harder. While there is much of interest here, in my opinion the book is too difficult to act as an entry to Marx's ideas. The early chapters are accessible, but by the middle of the book the authors appear to be addressing students with existing knowledge of mainstream economics. Because the book is not a guide to specific volumes of Marx's work in self-contained sections, the authors miss key sections. 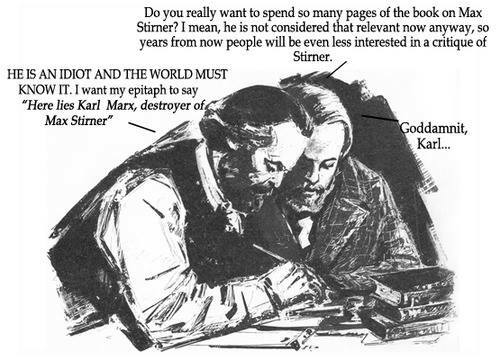 For instance there is no serious discussion of Marx's concept of money as a universal commodity - a key and very important section of the early chapters of Capital - It's omission makes some of the later explanations harder to understand.